Lt. Gov. Mandela Barnes will be the keynote speaker at UW–Madison’s Martin Luther King Jr. Day event on Jan. 21, in the Great Hall of Memorial Union. Barnes is Wisconsin’s first African-American lieutenant governor and the second African-American elected to statewide office in Wisconsin. The theme of UW–Madison’s celebration will be “MLK & Beyond: Manifesting the Dreams of the Movement.” It will recognize Dr. King’s dream and other prominent leaders in the civil rights movement. Barnes, sworn into office on Jan. 7, was born and raised in Milwaukee. He grew up attending Milwaukee Public Schools and is an alumnus of Alabama A&M University. 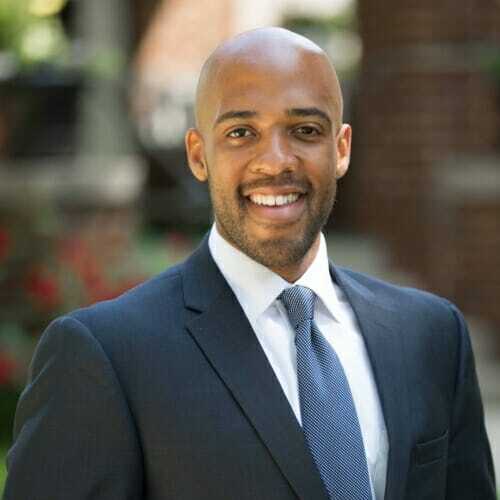 He worked for various political campaigns and in the office of Milwaukee Mayor Tom Barrett, eventually becoming an organizer for Milwaukee Inner City Congregations Allied for Hope, a Milwaukee-based interfaith coalition that advocates social justice. Mandela also worked for the State Innovation Exchange, a national progressive public policy organization. In 2012, at the age of 25, Mandela was elected to the Wisconsin State Assembly, where he served two two-year terms. His tenure in the State Assembly included serving as Chair of the Legislature’s Black and Latino Caucus and becoming a recognized leader on progressive economic policies and gun violence prevention legislation. The event is from 1 to 3 p.m. on Jan. 21. The agenda also includes welcome remarks from UW–Madison Chief Diversity Officer Patrick Sims, closing remarks from Associate Dean of Students Bonnie Candia-Bailey and a social justice presentation with small-group discussions. To register to attend the event, go to https://go.wisc.edu/1268sa. The event includes a free community lunch and people who register will receive an MLK Day t-shirt. Media are welcome to attend. Please contact Megan Miller, megan.miller@wisc.edu, 608-262-8446. The event includes a food and personal essential drive for The Open Seat, and attendees are invited to bring items. They accept non-perishable, non-expired cans and packages, such as toiletries, toothpaste and dish soap) All items must be unopened with the original, legible, sealed packaging.